We’ve seen this view before but different vehicles make the scene unique. 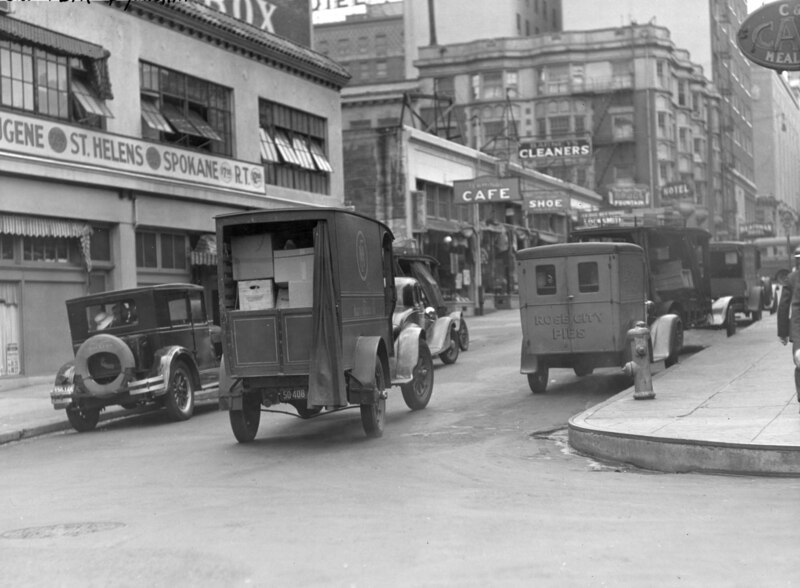 Looking south on SW Park Avenue from SW Yamhill, a Meier & Frank delivery truck is seen at center with a Rose City Pies delivery van parked at the curb. The car on the left curb has a “Walker’s” logo on the spare tire and it looks like a Jantzen girl figure in the center of the spare. The Admiral Hotel is visible across SW Taylor and beyond is the Old Heathman Hotel.